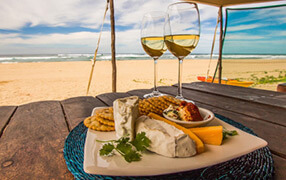 Stay for five nights and enjoy a helicopter transfer from Maputo to Anvil Bay. The very best accommodation in the Maputo Special Reserve. Only a 25 minute flight from Maputo International Airport, fly into Anvil Bay per helicopter taking in the magnificent scenery around the Bay of Maputo before moving down to the coast passing over mangroves and savannah. 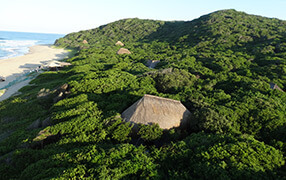 Within a national park, at Anvil Bay feel close to nature in a safari style camp on the beach. Safari and beach combined in one with loads of activities to keep you busy during your stay. 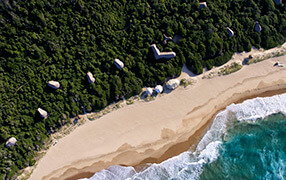 This package includes heli transfers from Maputo and much more at Anvil Bay!